Its really a simple and yummy dish. 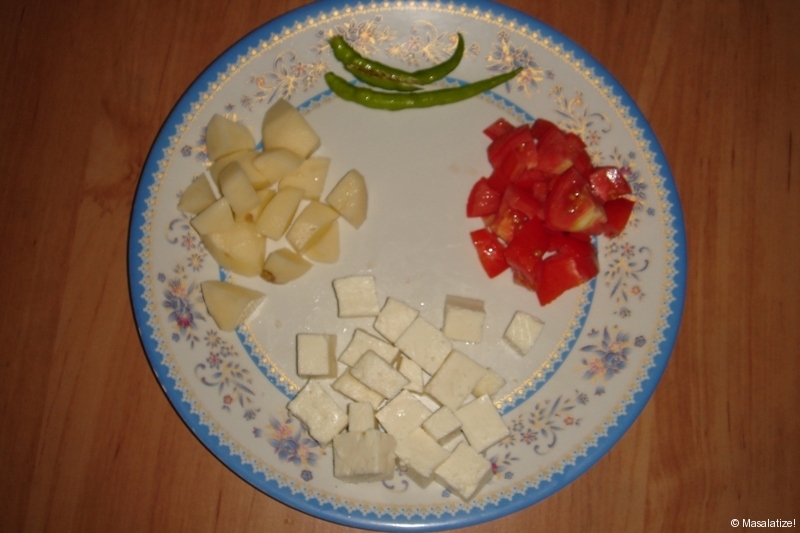 Cut the paneer, potato,tomato and green chilly into small pieces. 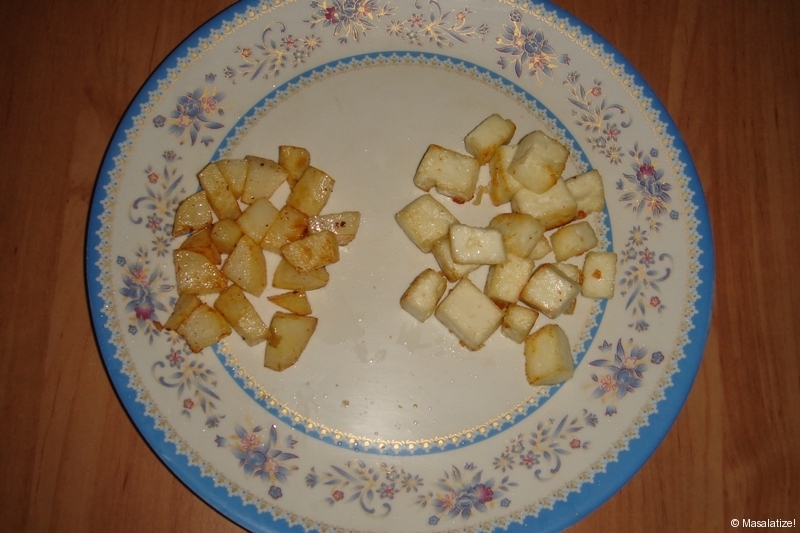 Light fry the potato and paneer . Keep it aside. Put rest of the oil in kadai then add cumin seeds to crackle in oil. Then add ginger paste, green chilly and tomato. After the oil comes out put 1 cup of water into it for boiling. 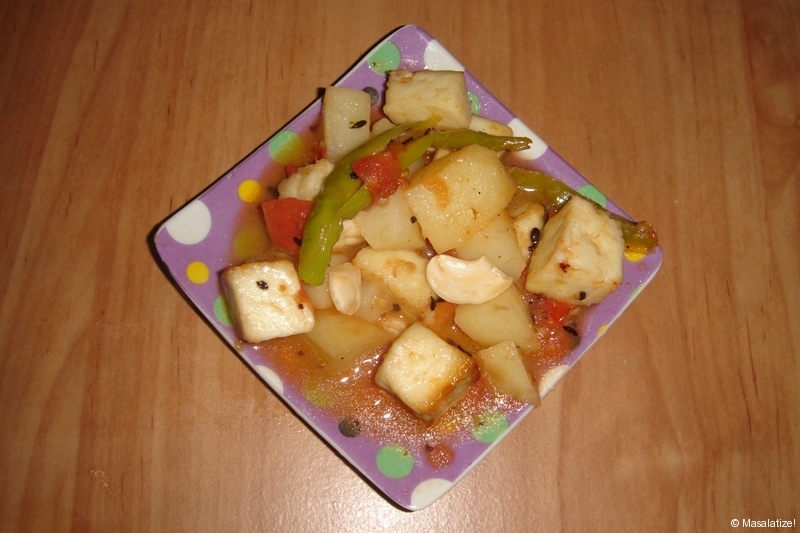 Add potato into it for boiling and let it simmer for few minutes.Lastly add the paneer with 1 tbsp of butter. 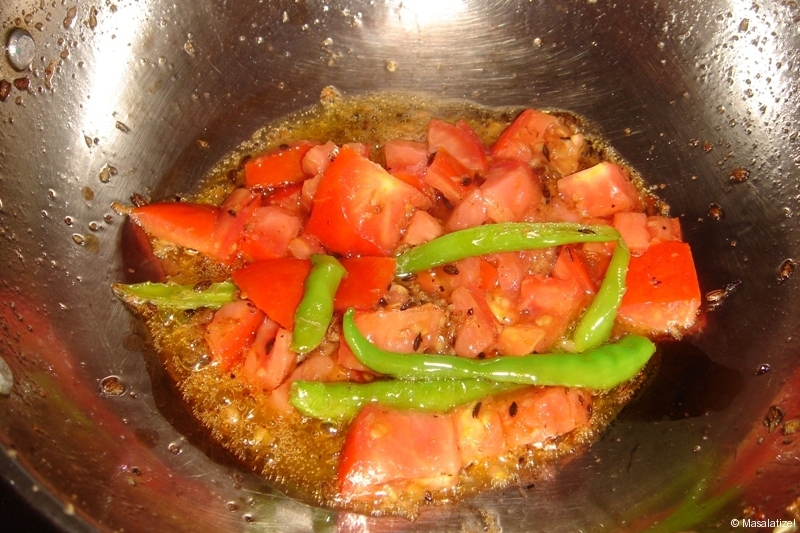 After the oil comes out from the masala put the beaten curd or 1 cup of water into it for boiling. Add fish pieces into it for boiling and let it simmer for few minutes.